The LGBT Network presents the 19th Annual LGBT Prom on Wednesday, June 26, 2019. The "LGBT Prom" will be held at the Crest Hollow Country Club. Join us for a night of dancing and dining, complete with mocktail hour, buffet dinner, dessert bar, DJ and the crowning of this year's Rainbow Court! 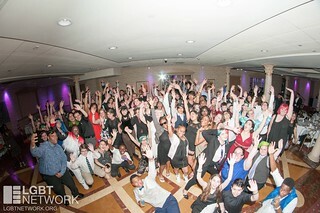 Special thanks to Bethpage Federal Credit Union and Northwell Health for proudly sponsoring the 19th Annual LGBT Prom. Tickets are now available! Use the form below to get yours today.